Dancing Made Fun & Easy for Everyone! I am using this forum to share my observations of how people positively interact with and help other people along with square, round and line dancing opportunties in Ohio. We can be intentional in our efforts to positvely impact others. Looking for and sharing observations of such positive efforts will cause me and hopefully others to be more intentional in this way. Here is a listing of hoedown (traditional) square, round and line dance opportunities I provided to members of the Square, Round and Line Dancing in Ohio group on Facebook. Check back since sometimes I learn about dances after this is first posted. I am supplementing this community on my web site to accomodate people not on Facebook. You are welcome to join my site to fully participate in this evolving community. You are welcome to invite others to join the group on Facebook and my site! July 1, 8, 15, 22, 29: 8:00-12:00 PM - Country Line Dancing (with instruction). Sneakee Pete's, 35700 Lakeland Blvd, Eastlake, OH 44095. No cover charge. Call 216-905-7507 with questions. July 8, 7:00-9:00 PM -Square and Line Dance at St. Joseph's Church Festival, 2643 Waterloo Rd, Mogadore, OH 44260. Dan Kirk calling. July 18, 19, 20, 21, 22 , 23 (9:00 PM each day) - Join the Pleasant Valley Boys for square dancing each night in the pavilion at the Perry County Fair. Friday, July 22 at 6:30-9:30 PM - Dance the Night Away! - Enjoy a summer night of square dancing, line dancing, games, and food at GentleBrook's Event Center. Not much of a dancer? Don't worry -- lessons are included! Caller - Steve Moff - 936 W Maple St, Hartville, OH 44632. check Facebook Event for admission prices. July 31, August 7: 2:00-4:00 PM. Square, line and mixer dancing. Ye Olde Mill, 11324 Mt Vernon Rd, Utica, OH 43080. Calling by Eddie Powell. I continue to welcome information about additional dances throughout the state. Please complete the Contact Me form to submit dances for me to publicize or if you wish to contact me about organizing and/or scheduling your own dance. I also welcome your comments below. Thanks all! June 3, 10, 17, 24: 8:00-12:00 PM - Country Line Dancing (with instruction). Sneakee Pete's, 35700 Lakeland Blvd, Eastlake, OH 44095. No cover charge. Call 216-905-7507 with questions. June 5, July 31, and August 7: 2:00-4:00 PM. Square, line and mixer dancing. Ye Olde Mill, 11324 Mt Vernon Rd, Utica, OH 43080. Calling by Eddie Powell. June 11, 8:00-10:30 PM, Carriage Hill MetroPark Historical Farm Square Dance with live music by the Corndrinkers; 7850 E. Shull Rd., Dayton, OH 45424 - Details Tickets are $5 per person. Tickets are available at the door. June 25, 7:30-9:30 PM - Square Dance at the Cardington Street Fair with the Mad River Band and Roger Cole. Cardington American Legion Park, Firehouse Stage. 307 Park St, Cardington. June 30, 7:00-9:00 PM - square dance fund raiser on June 30th for the Ashland Parks, barn behind Dale Roy School. 1256 Center Street, Ashland, Ohio 44805. Jim Silver calling. May 6, 13, 20, 27: 8:00-12:00 PM - Country Line Dancing (with instruction). Sneakee Pete's, 35700 Lakeland Blvd, Eastlake, OH 44095. No cover charge. Call 216-905-7507 with questions. May 7, 21: 8:00-11:00 PM - Martinsburg Square Dances with live music by Wayne King & the Hoedowners - Martinsburg Activity Center 1/4 mile west of Martinsburg on Rt. 62. Cost is $5 at the door and food and drinks are available. May 14, 8:00-11:00 PM - Line and Square Dance at Bayard Grange, Minerva, Location & Map, Admission is $5 for those 13 and over. Refreshments including homemade ice cream are available. Formal last dance of season with Todd Sanor calling. King and Queen pictures. May 21, 6:00-10:00 PM - Junior Fair Spring Roundup sponsored by Mahoning County Junior Fairboard. John Wargowsky will be calling square dances and leading some line, round and folk dances at this event. It is open to all Jr. Fairboards in Ohio. It will be held at Canfield Fairgrounds, Hay and Grain Building. Check this link for full program details. April 1, 8, 15, 22, 29: 8:00-12:00 PM - Country Line Dancing (with instruction). Sneakee Pete's, 35700 Lakeland Blvd, Eastlake, OH 44095. No cover charge. Call 216-905-7507 with questions. April 2, 16, 30: 8:00-11:00 PM - Martinsburg Square Dances with live music by Wayne King & the Hoedowners - Martinsburg Activity Center 1/4 mile west of Martinsburg on Rt. 62. Cost is $5 at the door and food and drinks are available. April 9, 23: 8:00-11:00 PM - Line and Square Dance at Bayard Grange, Minerva, Location & Map, Admission is $5 for those 13 and over. Refreshments are available. April 16, 8:00-11:00 PM - Line and Square Dancing in East Rochester, Ohio (24550 Lincoln Highway) in the old West Elementary School building. $5.00 admission. Dan Kirk caller. Call 330-323-6594 for info. Sponsored by Minerva FFA Alumni. 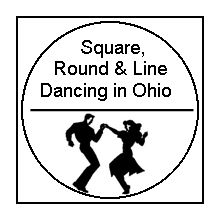 April 23, 4:00-7:00 PM - Square, Round & Line Dancing by John Wargowsky at Wyandot County Skilled Nursing and Rehab Center, 7830 State Highway 199, Upper Sandusky, OH. Fundraiser for resident activtiies at this facility. Games, fund and food for all ages. Admission is $1 or three non-perishable food items for the local food pantry. Dancing will be 4:00-6:00 PM. April 23, 7:30-11:00 PM - Square Dance - Fundraiser for Monroeville Volleyball - $15/head - Pop & snacks provided. St Alphonsus Hall, 1322 Settlement Rd, Norwalk. Music by Sawbuck Band. April 30., 7:00-10:00 PM, Square dance with live music by "Lew & Friends" w/Various callers & guest musicians. Admission $4. per. Refreshments available. It's the "Half & Half Dance", 1118 W. Main St. Zanesville, Sponsored by: Zanesville Chapter of the Ohio Country & Western Music Association. March 4, 11, 18, 25: 8:00-12:00 PM - Country Line Dancing (with instruction). Sneakee Pete's, 35700 Lakeland Blvd, Eastlake, OH 44095. No cover charge. Call 216-905-7507 with questions. March 5, 19: 8:00-11:00 PM - Martinsburg Square Dances with live music by Wayne King & the Hoedowners - Martinsburg Activity Center 1/4 mile west of Martinsburg on Rt. 62. Cost is $5 at the door and food and drinks are available. March 12, 26: 8:00-11:00 PM - Line and Square Dance at Bayard Grange, Minerva, Location & Map, Admission is $5 for those 13 and over. Refreshments are available. February 5, 12, 19, 26: 8:00-12:00 PM - Country Line Dancing (with instruction). Sneakee Pete's, 35700 Lakeland Blvd, Eastlake, OH 44095. No cover charge. Call 216-905-7507 with questions. February 6, 20: 8:00-11:00 PM - Martinsburg Square Dances with live music by Wayne King & the Hoedowners - Martinsburg Activity Center 1/4 mile west of Martinsburg on Rt. 62. Cost is $5 at the door and food and drinks are available. February 13, 27: 8:00-11:00 PM - Line and Square Dance at Bayard Grange, Minerva, Location & Map, Admission is $5 for those 13 and over. Refreshments are available. January 1?, 8, 15, 22, 29: 8:00-12:00 PM - Country Line Dancing (with instruction). Sneakee Pete's, 35700 Lakeland Blvd, Eastlake, OH 44095. No cover charge. Call 216-905-7507 with questions. January 2, 16, 30: 8:00-11:00 PM - Martinsburg Square Dances with live music by Wayne King & the Hoedowners - Martinsburg Activity Center 1/4 mile west of Martinsburg on Rt. 62. Cost is $5 at the door and food and drinks are available. January 9, 7:30-11:00 Pm - Recreational Folk Dancers Midwinter Dance Party - Dances will be taught by participating groups along with dance requests to a mix of live and recorded music. 4th Avenue Christian Church, 296 West Fourth Avenue, Columbus. $5 admission; $1 kids 12 and under. January 9, 23: 8:00-11:00 PM - Line and Square Dance at Bayard Grange, Minerva, Location & Map, Admission is $5 for those 13 and over. Refreshments are available. December 4, 11, 18, 25? : 8:00-12:00 PM - Country Line Dancing (with instruction). Sneakee Pete's, 35700 Lakeland Blvd, Eastlake, OH 44095. No cover charge. Call 216-905-7507 with questions. December 5, 19: 8:00-11:00 PM, New Year's Eve (31) 9:00 PM - 12:00 AM - Martinsburg Square Dances with live music by Wayne King & the Hoedowners - Martinsburg Activity Center 1/4 mile west of Martinsburg on Rt. 62. Cost is $5 at the door and food and drinks are available. December 9, 7:00-10:00 PM - Columbus Square Dance with Donkey Nation and T-Claw at The Vanderelli Room - 218 McDowell St, Columbus, Ohio 43215. BYOB; $10 suggested donation. December 12, 26: 8:00-11:00 PM - Line and Square Dance at Bayard Grange, Minerva, Location & Map, Admission is $5 for those 13 and over. Refreshments are available. November 6, 13, 20, 27: 8:00-12:00 PM - Country Line Dancing (with instruction). Sneakee Pete's, 35700 Lakeland Blvd, Eastlake, OH 44095. No cover charge. Call 216-905-7507 with questions. November 7, 21: 8:00-11:00 PM - Martinsburg Square Dances with live music by Wayne King & the Hoedowners - Martinsburg Activity Center 1/4 mile west of Martinsburg on Rt. 62. Cost is $5 at the door and food and drinks are available. November 14, 28: 8:00-11:00 PM - Line and Square Dance at Bayard Grange, Minerva, Location & Map, Admission is $5 for those 13 and over. Refreshments are available. November 21, 7:00-10:00 PM - Square/Line Dance called by Doug Michaelis and hosted by Defiance County 4-H Teen Leaders. Fundraiser for Toys for Tots. Defiance Knights of Columbus Hall, 111 Elliott Rd, Defiance, OH 43512. Admission is $2 each. October 2, 9, 16, 23 & 30: 8:00-12:00 PM - Country Line Dancing (with instruction). Sneakee Pete's, 35700 Lakeland Blvd, Eastlake, OH 44095. No cover charge. Call 216-905-7507 with questions. October 3, 17, 31: 8:00-11:00 PM - Martinsburg Square Dances with live music by Wayne King & the Hoedowners - Martinsburg Activity Center 1/4 mile west of Martinsburg on Rt. 62. Cost is $5 at the door and food and drinks are available. October 24, 8:00-11:00 PM - Line and Square Dance at Bayard Grange, Minerva, Location & Map, Admission is $5 for those 13 and over. Refreshments are available. September 4, 11, 18, 25: :8:00-12:00 PM - Country Line Dancing (with instruction). Sneakee Pete's, 35700 Lakeland Blvd, Eastlake, OH 44095. No cover charge. Call 216-905-7507 with questions. September 4, 5: 8:30 PM - ???? - Square Dance with live music (Wayne King and the Hoedowners) at the Millersport Sweet Corn Festival in the Hickory Grove Bandstand. More info. September 19, 8:00-11:00 PM - Martinsburg Square Dances with live music by Wayne King & the Hoedowners - Martinsburg Activity Center 1/4 mile west of Martinsburg on Rt. 62. Cost is $5 at the door and food and drinks are available. People often like to incorporate dance into special celebrations. I was recently contacted and asked to develop 30 minutes of ballroom dancing into a 20th wedding anniversary celebration. The theme was Cinderella and I was specifically asked to include a minuet in the dancing. I'll be honest -- I've never danced the minuet in my life. However, I have decades of teaching experience and YouTube offers many instructional videos to help me learn the basic steps and develop a plan to incorporate the dance into the event. I developed a plan to include the minuet, waltz, a walz circle mixer and another ballroom feel dance called Greensleeves into a a 30 minute portion of the evening that complemented many other fun and memorable activities. We laughed together while learning and doinng the dances. I want to thank Genia and James for allowing me to be part of their special evening. If you're looking for someone to include dance into your event and be able to quickly teach people enoough to have fun in the moment and adapt to what's really happening on the dance floor, contact me to discuss. Below is a video of a minuet dance. While our minuet may not have looked like this, I know it felt like like this to those who danced at the wedding anniversary celebration. August 7, 14, 21, 28: :8:00-12:00 PM - Country Line Dancing (with instruction). Sneakee Pete's, 35700 Lakeland Blvd, Eastlake, OH 44095. No cover charge. Call 216-905-7507 with questions. July 10, 17, 24: :8:00-12:00 PM - Country Line Dancing (with instruction). Sneakee Pete's, 35700 Lakeland Blvd, Eastlake, OH 44095. No cover charge. Call 216-905-7507 with questions. July 20, 21, 22, 23, 24 , 25 (9:00 PM each day) - Join the Pleasant Valley Boys for square dancing each night in the pavilion at the Perry County Fair. June 13, 8:00-10:30 PM, Carriage Hill MetroPark Historical Farm Square Dance with live music by the Corndrinkers; 7850 E. Shull Rd., Dayton, OH 45424 - Details Tickets are $5 per person, children 12 and under free. Tickets are available at the door. June 27, 7:30-9:30 PM - Square Dance at the Cardington Street Fair with the Mad River Band and Roger Cole. Cardington American Legion Park, Firehouse Stage. 307 Park St, Cardington. May 2, 8:00-11:00 PM - Line and square dancing sponsored by the Bridge (an outreach of the local Methodist church). Admission is a cash or non-perishable food item donation to our local food pantry. Calling by Dan Kirk. Carroll Co. Fairgrounds in Carrollton. May 2, 16 & 30, 8:00-11:00 PM - Martinsburg Square Dances with live music by Wayne King & The Hoedowners - Martinsburg Activity Center 1/4 mile west of Martinsburg on Rt. 62. Cost is $5 at the door and food and drinks are available. May 2, 8:00-11:00 PM - Round and square dance with music provided by the Hand Picked Band and Gary Woods calling the square dances. There will be cake walks, door prizes and the kitchen will be open with sandwiches and pies. $5.00 - Tunnel Hill Community Center, 112 E Maple St, Stone Creek, OH. Check this page on Facebook for the latest news on dances. May 13, 7:00-9:00 PM - Concert and square dance at Columbus Senior Arts Event Dance with The Back Porch Swing Band. Martin Janis Center, 600 E. 11th Ave, Columbus, located at the 11th Ave. entrance to the Ohio State Fairgrounds. May 16, 8:00-11:00 PM - Line and Square Dance with Steve Moff calling at Bayard Grange, Minerva, Location & Map, Admission is $5 for those 13 and over. Refreshments are available. May 23, 5:00-9:00 PM - Junior Fair Spring Roundup sponsored by Mahoning County Junior Fairboard. John Wargowsky will be calling square dances and leading some line, round and folk dances at this event. It is open to all Jr. Fairboards in Ohio. It will be held at Canfield Fairgrounds, Hay and Grain Building. Check this link for full program details. Behind the Dance: Who Square Dances? When people hear I call square dances, they often ask----where do you call? The answer is----many places. I call what's known as traditional square dancing, also called hoedown and "swap and swing" by some. I took a few minutes to categorize the dances I called in 2015 and here's the list along with the number of times I called in each category. At the bottom you'll find a word cloud representing the categories of dances from 2015. That was 2015. Over the years I've called dances for numerous other events that include corporate events, annual meetings, festivals, conventions, bat mitzahs, retirement parties, developmentally disabled, Ohio State Fair and many more. Are you interested in incorporating square, round, line folk or novelty dancing into your event or organizing a dance? Contact me today and we can discuss how to make that happen. April 4 & 18, 8:00-11:00 PM - Martinsburg Square Dances with live music by Wayne King & The Hoedowners - Martinsburg Activity Center 1/4 mile west of Martinsburg on Rt. 62. Cost is $5 at the door and food and drinks are available. April 4, 11 & 25: 8:00-11:00 PM - Round and square dance with music provided by the Hand Picked Band and Gary Woods calling the square dances. There will be cake walks, door prizes and the kitchen will be open with sandwiches and pies. $5.00 - Tunnel Hill Community Center, 112 E Maple St, Stone Creek, OH. Check this page on Facebook for the latest news on dances. April 11 & 25, 8:00-11:00 PM - Line and Square Dance at Bayard Grange, Minerva, Location & Map, Admission is $5 for those 13 and over. Refreshments are available. April 18, 8:00-11:00 PM - Square Dance hosted by the Minerva FFA Alumni, Minerva High School Auxiliary Gym which is behind the high school next to the football field. 501 Almeda Avenue, Minerva, OH. Steve Moff is calling. Admission is $5.00, children 9 and under are free.Refreshments available. March 6, 7:30 PM - Oxford Square Dance. Tamara Loewenthal calling to live music by Jericho Old Time Band. Oxford Community Arts Center Ballroom - 10 S College Ave, Oxford, OH 45056. $5 admission at the door. Facebook Event NOTE: Tamara Loewenthal is teaching "Clogging for the Flatfooted: A Percussive Dance Master Class" starting at 6:00 PM before this dance and registration is requred. Learn more at the Facebook Event. March 7, 7:00-0:00 PM - Square Dance with Dan Kirk calling at the Carroll County Fairgorunds (Hog Barn), 106 Kensington Rd NE, Carrollton, OH 44615. The dance is sponsored by The Bridge, a Christian outreach group in Carrollton. Admission is just a donation to the local food bank. March 7 & 21, 8:00-11:00 PM - Martinsburg Square Dances with live music by Wayne King & The Hoedowners - Martinsburg Activity Center 1/4 mile west of Martinsburg on Rt. 62. Cost is $5 at the door and food and drinks are available. March 7, 14 & 28: 8:00-11:00 PM - Round and square dance with music provided by the Hand Picked Band and Gary Woods calling the square dances. There will be cake walks, door prizes and the kitchen will be open with sandwiches and pies. $5.00 - Tunnel Hill Community Center, 112 E Maple St, Stone Creek, OH. Check this page on Facebook for the latest news on dances. March 14, 8:00 PM - Midnight - Square Dance with live music by The Riverbend Band at Wood County Fairgrounds, 13800 West Poe Road, Bowling Green, OH 43402 in the Jr Fair Building (yelllow sided building). Admission: Singles $12 and couples $20. Bake sale and Chinese Auction, pop, and snacks provided. Sponsored by the Wood County Horse Council. Proceeds got to the Wood County Fairgrounds Horse Arean Cover Fund. March 14 & 28, 8:00-11:00 PM - Line and Square Dance at Bayard Grange, Minerva, Location & Map, Admission is $5 for those 13 and over. Refreshments are available. March 21, 8:00-11:00 PM - Square Dance hosted by the Minerva FFA Alumni, Minerva High School Auxiliary Gym which is behind the high school next to the football field. 501 Almeda Avenue, Minerva, OH. Steve Moff is calling. Admission is $5.00, children 9 and under are free.Refreshments available. 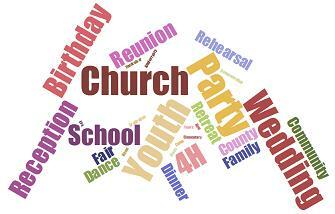 March 27, 6:30-9:30 PM - Square Dance Fundraiser by Forever 4-Him 4-H Club/Homeschool Group with Cheryl Hagerty calling. The Church at the Polaris, 1250 Gemini Place, Columbus OH 43240. $20/family, $5/ individual. Flyer with details. February 6, 13: 6:00-7:30pm - Line Dancing Class - Class is $5 or all 6 weeks for $25. Instructor: Dan Sturgill. Please arrive early the first week to sign a release form. All proceeds go to the AB Graham Memorial Center & Museum where it will be held - 8025 E St Rt 36, Conover, Ohio. February 7, 7:00-10:00 PM - Line and Square Dance with Dan Kirk calling at the Catholic Hall (next to the Catholic Church) in Carrollton at the intersection of Rt. 39 and Rt. 43. 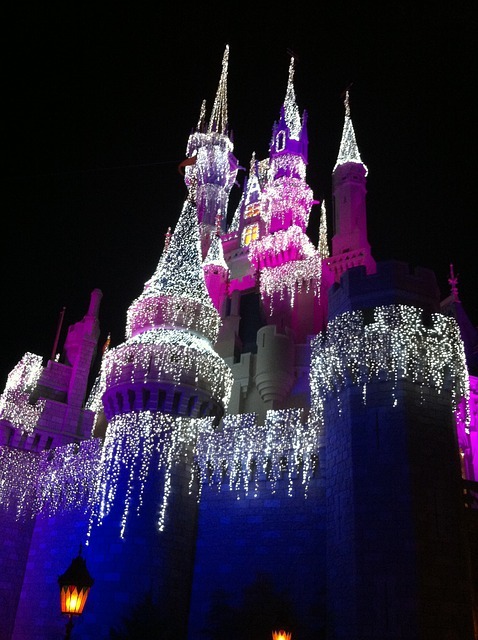 $5.00 per person, $9.00 per couple, $10.00 per family. Refreshments available. Call 330-323-6594 for info. February 7, 8:00 PM - Midnight - Square Dance with live music by The Riverbend Band with calling by Charles Schwochow at Wood County Fairgrounds, 13800 West Poe Road, Bowling Green, OH 43402 in the Jr Fair Building (yelllow sided building). Admission: Singles $18 and couples $30. 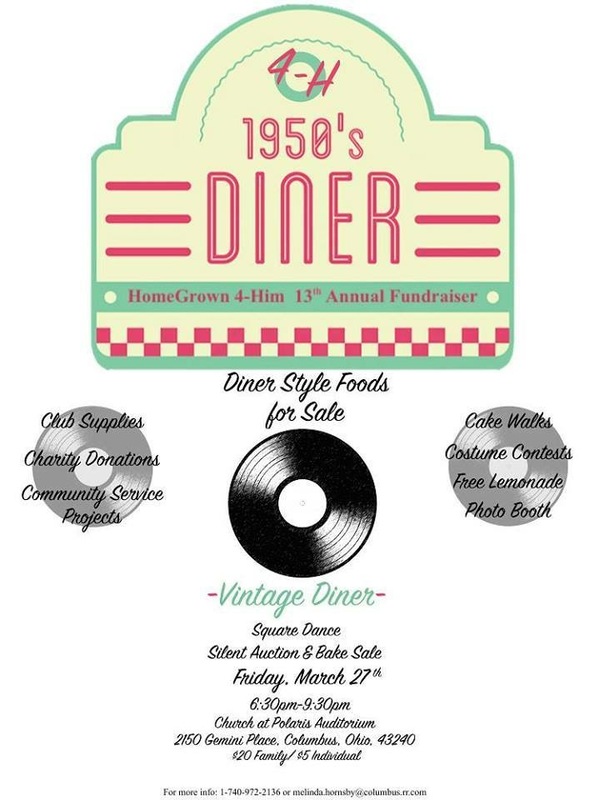 50/50 and raffle prizes and a chance to win a 50'' Flat Screen TV! Beer, pop, and snacks provided, BYOB. Snow or blow...it's still a go!!! Sponsored by and benefit Dunbridge Fire Department. Cancelled February 7 & 21, 8:00-11:00 PM - Martinsburg Square Dances with live music by Wayne King & The Hoedowners - Martinsburg Activity Center 1/4 mile west of Martinsburg on Rt. 62. Cost is $5 at the door and food and drinks are available. February 21 & 28, 8:00-11:00 PM - Line and Square Dance at Bayard Grange, Minerva, Location & Map, Admission is $5 for those 13 and over. Refreshments are available. Feb 14 and 21 dances were cancelled due to weather. February 28: 8:00-11:00 PM - Round and square dance with music provided by the Hand Picked Band and Gary Woods calling the square dances. There will be cake walks, door prizes and the kitchen will be open with sandwiches and pies. $5.00 - Tunnel Hill Community Center, 112 E Maple St, Stone Creek, OH. Check this page on Facebook for the latest news on dances. February 20, 8:00-11:00 PM - Square Dance with Dan Kirk calling at the Community Center in Unionport, Ohio next to 3211 Co. Rd. 39 Bloomingdale, Ohio. $5/person, $8/couple, and $30/whole set.